The OSilas Gallery is pleased to present the works of painter Lou Hicks. In her 80th year,Hicks continues to work on expressionistic canvases, larger than she, employing in fleshy oils a robust, masculine physicality alongside an inherent spirituality. She employs an archaeological process of discovery and excavation in reaction to the environment in which she lives and works. The strong influence of abstract expressionism, its physicality and responsiveness, is filtered through her own intuitive and introspective vision. 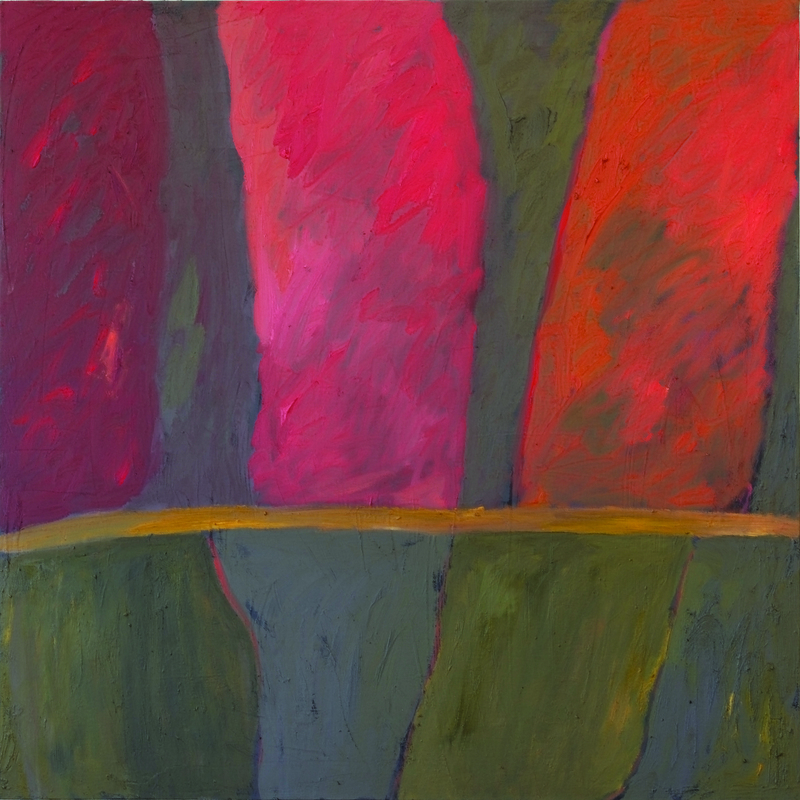 Her true subject matter is the surface manipulations of paint colors and layers. Using a complex method of scraping and layering thick lush oil paint mixed with wax, Lou builds a rich moody surface activated by constant building and abrading, accumulating and revealing, creating a genuinely lived history within the surface of the paintings. This revealing of multiple histories encourages a visual conversation with materiality, ephemerality, and beauty. Lou’s work embodies a history lived. Evocative and ephemeral, earthy and intense, her lush oil paintings reflect a concern for a deeper intuited meaning expressed through the paint, one not readily seen but suggested, built up over time, instilling feelings of awe, peace, and calm. Join us in the Gallery to explore the Exhibition, followed by a hands-on art project in the Art Studio inspired by the exhibit. Free! Children ages 5-10, accompanied by an adult. Reservations required.